Here is pumpkin recipe #2 of 2014, Pumpkin Pie Soufflés, and as a bonus because I love you guys, a GIVEAWAY for a KitchenAid mixer! Let’s start with the soufflés. Doesn’t the word soufflé just sound so fancy? I mean come on what French word doesn’t sound fancy? Did you know that soufflés are actually quite easy to make? Not to mention you can make them sweet or savory. Since we are nearly into the fall season and I know that Pinterest and Instagram are bursting with all things pumpkin and apple I thought it would be okay to share another pumpkin recipe with you. I mean really, how many of you are going to complain to me that you DON’T want to feast your eyes on this gorgeous dessert? Before I get into details about how I made these lighter than air soufflés let me clear the air about the deflated smaller soufflés in the pictures. 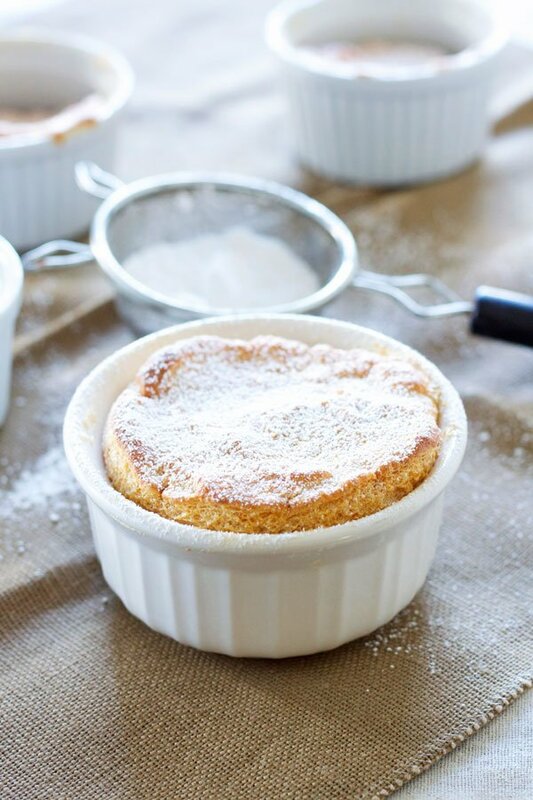 Soufflés are meant to be eaten the minute they come out of the oven. It’s just a fact that the longer they sit the more deflated they get. Try as I might I wasn’t quick enough with my photographing to get their perfect puffed appearance before they deflated. I even burned my fingers in the process, so don’t think I didn’t try. The bigger one however stayed puffy much longer. If you are going for that perfect puffed soufflé look then I would recommend using a bigger ramekin. Now that we’ve addressed that, lets move on to how I made these. The first step was whisking together milk, sugar, cornstarch, vanilla, and pumpkin pie spices in a small saucepan over medium heat. Once the mixture was smooth and thick I removed it from the burner and let it cool in a large mixing bowl. Step two, the egg whites. Beating large amounts of air into the egg whites is what makes a soufflé light and airy. I used my KitchenAid stand mixer with the whisk attachment to do this and it made the job so easy. In the bowl of the mixer I added five egg whites, a pinch of salt, and a pinch of cream of tartar. I started the mixer on medium speed until the egg whites were foamy, then cranked it up to high. As the eggs were fluffing up, I very slowly added in the remaining sugar. I kept the mixer going on high until the egg whites were glossy and held stiff peaks. The last step to these Pumpkin Pie Soufflés was folding the egg whites into the pumpkin mixture. This is the step where you’ll want to be very gentle so you don’t deflate all of the air out of the egg whites. I started by adding a third of the egg whites to the pumpkin mixture. Once those were incorporated I added another third and repeated the steps until everything was combined. I added the pumpkin mixture to the ramekins that were sprayed with cooking spray and coated with a little bit of sugar. I put them all on a sheet pan then placed them on the middle rack of the oven. Be sure you don’t open the oven while they are baking, this may cause them to deflate. Once they were out of the oven I sprinkled them with powdered sugar and then dove in. WOW! They had all those wonderful flavors of pumpkin pie and the light airy texture that soufflés are known for. These Pumpkin Pie Soufflés are a nice change from the traditional pumpkin pie, not to mention lighter on calories. 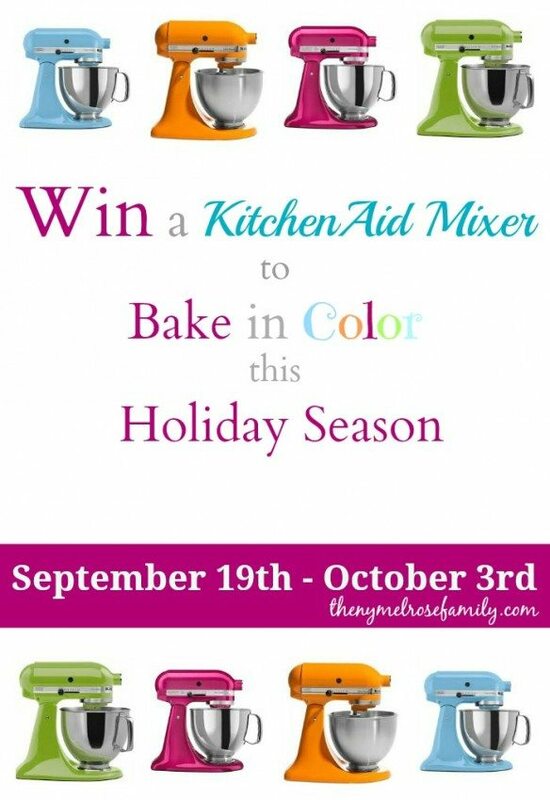 Since I’m super excited for all of the fall baking this year, I’ve teamed up with a group of talented bloggers and we are giving away a….wait for it…KitchenAid Mixer!!!!! I adore my KitchenAid Mixer and can’t imagine my life without it! It comes in so handy this time of year with all of the upcoming holiday baking, plus it works wonders for whipping egg whites so you can make these awesome Pumpkin Pie Soufflés! All the flavors of pumpkin pie in these beautiful individual souffles! 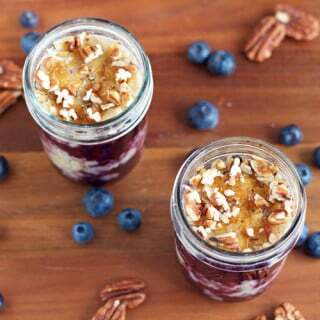 Spray 4 (6 ounce) ramekins with cooking spray and coat them with granulated sugar, knocking out any excess sugar. 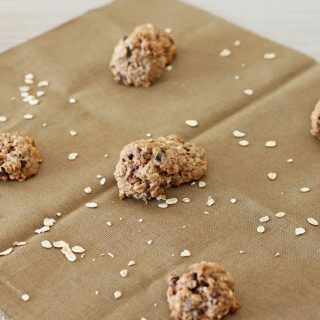 Place the ramekins on a cookie sheet and set aside. In a small saucepan over medium heat whisk together the milk, cornstarch, pumpkin, 1/2 T. sugar, vanilla, and spices. Bring to a boil and continue whisking for another minute, until it is thick and smooth. Remove the pumpkin mixture from the heat and pour it into a large mixing bowl. In the bowl of a stand mixer with the whisk attachment, add the egg whites, salt, and cream of tartar. Whisk the egg whites on medium speed until they become frothy, then increase the speed to high. Slowly pour in the 1/4 cup of sugar and continue whisking until the egg whites are glossy and hold stiff peaks. With a rubber spatula, gently fold 1/3 of the egg whites into the pumpkin mixtures. Repeat the process until all of the egg whites are folded in. Divide the mixture between the 4 ramekins, mounding them. Remove them from the oven, dust with powdered sugar, and serve immediately. These soufflés look delicious Danae. Imagining how puffy and delicious they are is making me hungry! Thanks Jessica! I love a puffy souffle! Gimme all them! I haven't made a souffle before, but this girl doesn't say no to anything pumpkin pie! Pinned! Thanks Taylor! 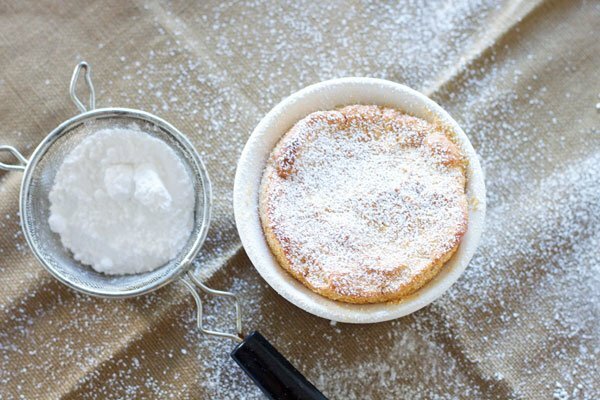 You have to give souffle making a try. They are so good and so rewarding when they rise and turn out all puffy! Thanks Meggan! The key is folding everything together gently, other than that, piece of cake! Have a wonderful weekend! This pumpkin pie souffle looks so delicious. I love the added powdered sugar on top too! Thanks Andrea! Powdered sugar makes everything look a little prettier! Hi Linda! While I haven't tried refrigerating everything except the egg whites, I don't see that it would be a problem. I would probably bring it back to room temperature like you said, this will make it easier to fold in the egg whites. 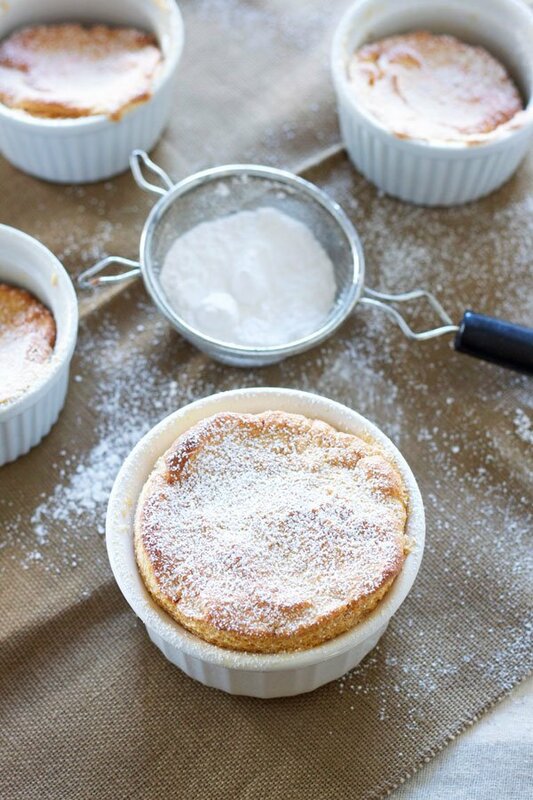 These soufflés look delicious, Danae! I've never had a pumpkin soufflé, so I love this recipe! Thanks Marcie, it was a nice change up from the usual pumpkin pie! Souffles are so easy to make but so hard to photograph, I can imagine! I don't even dare try, so you are doing a fantastic job! Love the pumpkin flavor of these! Thanks Kayley, they definitely are not easy to photograph! Wow wow wow! I'm seriously impressed! I love me a good souffle... and this is a great looking one! 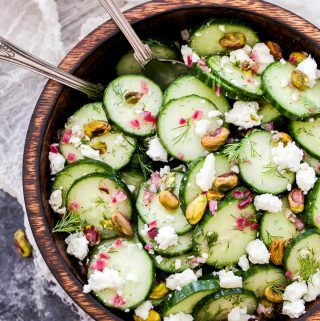 I'm thinking these would be perfect at our next fall dinner party! Thanks Chris! Right there with you on the souffle love!